Hacking is one topic that is very interesting for computer geeks due to their experience in computer virus and malware. However, it is not very easy to learn. The main reason behind it is the study of various software codes to understand hacking methods and implement them. However, there is one more smart method to learn to hack; that is downloading various free and paid hacking Android apps; this way, learning how to hack becomes easier. As a college student you may want to go for a custom book review, however, the below-mentioned apps should be a good start for you. This app is one of the best tutorials app available for learning cyber security and related topics. The app contains tutorials for beginners as well as advanced learners. This app is offered by Cybrary, the largest security community on the web. Below are the topics covered in this app. The app includes topics like A+, Linux+, Network, Security+, Cloud+, ITIL, Cryptography for beginners. Intermediate level topics include SharePoint, Ethical Hacking, Computer Forensics, PMP, Virtualization Management, MCSA, CCNA, and CISA. If you are a beginner who wants to gain a toehold in the demystifying world of hacking, this hacking tutorial app is the best way for you as it offers to know how including the easiest way to perform hacking and enabling the protection of your device. An awesome app that offers comprehensive theoretical and practical knowledge regarding computer hacking. Not only it enables the broadening of knowledge, but also helps with the diagnosing any computer issue. Improve your technical life with smart and cool tips and hacking tricks. Learn a new trick regularly and astound your friends. This is an extraordinary tutorial which offers you extensive knowledge regarding hacking techniques such as securing pen drives, WiFi addresses or Wireless routers. For becoming an ethical hacker, you need to understand the tricks of black hat hackers. This is among the best hacking tutorial apps for utilizing black hat methods. It is a fact that hacking of any computer requires a comprehensive knowledge of multiple topics. Learning computer hacking not only offers a new career path but also enables the user to diagnose and correct computer issues, both of which is provided by this application. 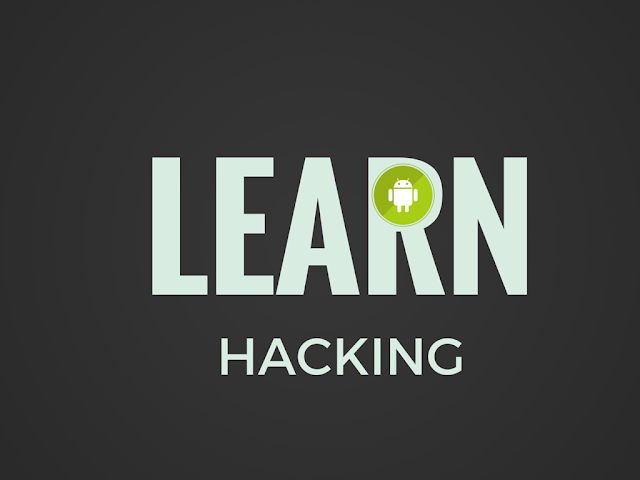 Use this application to learn hacking android apps, and get comprehensive information regarding the phishing, footprinting, batch file viruses, and worms. An excellent reference point for both pro and newbies, this application offers information regarding terms and their use in a hacking universe such as bot.net, difference between hex and binary. A community-based effort, this hacking tutorial covers various tips and techniques that can be used to become a security professional and covers a vast range of topics such as hacking basics to security management techniques. This is one of the best android hacking tutorials with active participation technique that enables you to master hacking skills easily. It is best for beginners who want to learn advanced hacking techniques. If you are ready to pay some amount for learning hacking in a comprehensive manner, these are some of the best apps in the market you can use for the purpose. Built with the collaboration from various anonymous members, this hacking tutorial is only for the educational purpose of beginners in this field. This hacking tutorial offers extensive information about various hacking techniques such as staying anonymous and web hacking among the others. Once purchased, the authors continue to update tools and new tutorials. This Android application enables the beginner to learn ethical hacking techniques as well as enable the protection of their devices from different types of attack and how to counter them. This is a great handbook that offers considerable knowledge for both penetration testers and hackers. It also offers information that makes security testing easy with John the Ripper and nmap. Bestseller on Amazon, this book offers basic and advanced techniques of hacking a computer. The things you learn include Linux hacking, programming for the computer virus, malware, rootkit and so on. The main concept behind this application is to learn how to hack wireless networks and how to secure its safety. The application teaches how to crack Wi-Fi networks secured with WPA/2 and WEP. With great powers comes great responsibility. Gaining hacking knowledge is easy with suitable tools. However, using it for the right purpose is somewhat difficult. Once you are equipped with a gamut of hacking tips and tricks using the smart tools above, you’ll not only get aware on the various hacking tools, tips and tricks available, you’ll also get proficient in averting hacking attacks on your devices and websites.